Click here to print The Peaceful Mom Daily Planner. 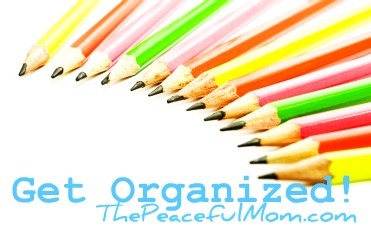 The first step to becoming more organized is creating a daily list of tasks which need to be accomplished. This Daily Planner includes a space for morning and evening routines, an hour by hour section for appointments, To Do Section and a Shopping List. Happy planning for a Peaceful Day! I am so happy to help Sylvia. Thanks for letting me know. Kimberlee: You are so kind to share these printables. You are very talented. Thanks so much ! Agree! Thank you for sharing! 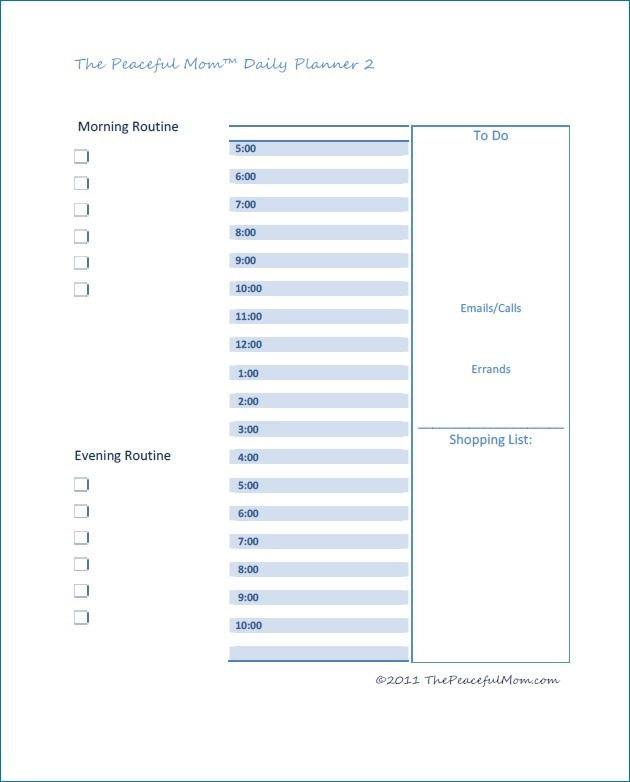 i am using this one..it helps me organize my day-to-day activities especially on weekends..thanks kimberlee! Wow! God is good. I just happened to find you while looking at the web. I typed in how to live on less and found you. You have a great web information and videos. Keep it up this is a ministry. Don”t let the evil one get you down. We all need this to be free. I know we are headed for hard times in this country and it is good to learn from others how to get by. Your are a blessing. I will started on your plan soon. husband and your site has really helped me get things in order. 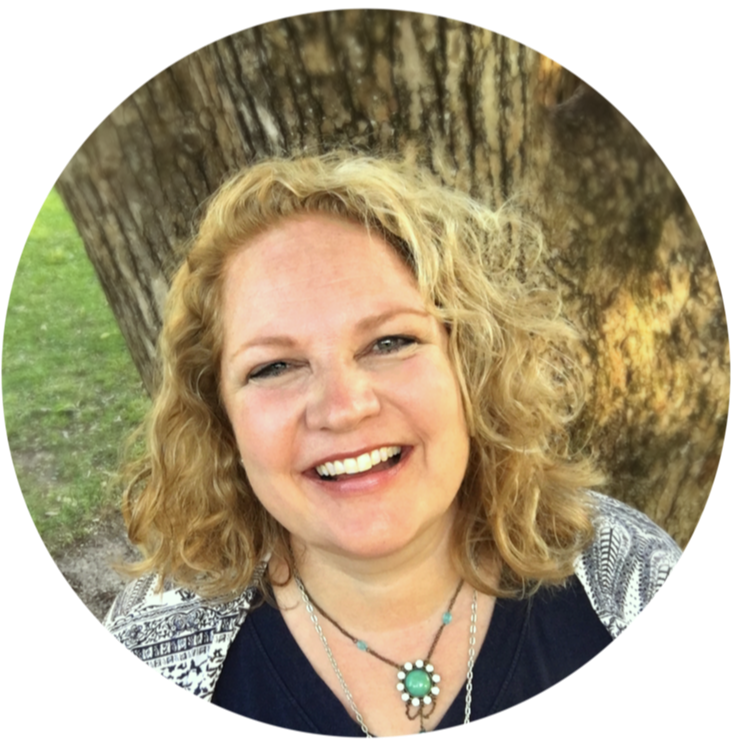 Hi Shelli–I am so sorry to hear that things aren’t going well in your marriage. I have been there in my own marriage and actually left my husband for several months. God is faithful though, and by His grace we were able to get some marriage counseling, work through some really tough things and now our marriage is better than ever. I pray that God will give you wisdom and grace as you make this decision. Blessings!